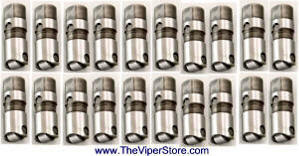 BGF-PMC-S-V1/2 PCM / ECM Upgrade - Let your Viper (96-02) RT10 or GTS Loose! Take the Gloves Off! Your Viper 1996-2002 came from the factory with a lot more performance than your engine Powertrain Controller Module is programmed to let you have...... Why? Because of emissions standards, gas mileage, ect. 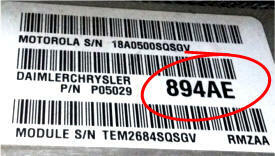 Note: B&G PCM Modifications are for OFF-ROAD use only, and sold "as is" unless otherwise noted with no implied warranty! Additionally PCM upgrades may affect the emissions characteristics of the vehicle. If you install PCM Upgrade and your vehicle consequently fails state or local I/M emissions test, including any test required to HotCarAccessories, Inc. is not required to repair your vehicle, and you may be required to remove the PCM Upgrade at your own expense in order to obtain repairs necessary to pass the I/M test or to perform the recall. Up to 25 HP! 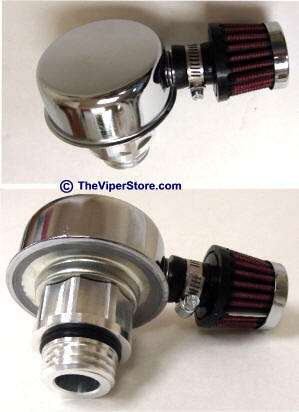 Best SCT Viper Engine Upgrade Tune in the World! Finally, the Viper RT10/GTS owners have a means of flash-programming their Powertrain Control Modules to make changes in the way the engine systems operate or to correctly control aftermarket engine modifications without the need for piggyback or inline controllers, or going to a replacement controller. The capability of the factory PCM is greater than expected, and as of now, can finally be programmed by the end user easily and without so much as removing a single screw. The purchase price includes 1 XCal3, and up to 3 basic tunes. Additional basic tunes can be added later, but are not required during the initial purchase and can be added at any later date call for price. Our lab will work with the customer to determine what parameters will be changed, such as injector scaling, fan temps, spark and fuel maps, decel fuel modes, etc. YOU chose your parameters, or you can have us choose them for you. There is no hidden fee for custom tunes, each and every customer has the option to specify what they want in their tunes. Please contact us if you have any questions on what can be edited on your program. Large scale custom tuning also available for extremely modified engines, this is charged by the hour for writing tunes. All these features make this device a "must have" for all GEN2 Viper owners. 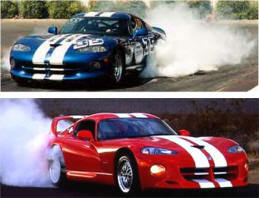 Viper's from years 1996-2002 will also have an additional benefit of considerably faster 0-60mph times! The PCMs of 1996-2002 cars are located under a cover on the Driver side in front of the door hinge secured to the toe box. Also select the number of tunes you wish to start with, additional tunes can be added later. 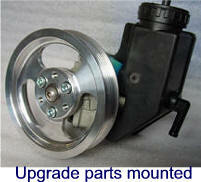 Adding up to 25 rear wheel horsepower and 25 rear wheel torque has never been this easy and inexpensive! 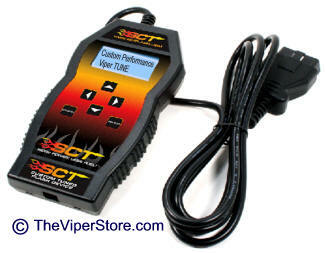 This SCT flash device allows quick and easy power upgrades by simply plugging it into your diagnostic computer port and downloading one of the low, medium or high performance custom tunes made The SCT XCalibrator 3 arrives to you with 1 performance tune, custom written and tested and includes- the skip shift feature turned off, disabled downstream O2 sensors for "off road" cat delete and programming to turn the fan on at 181 degrees versus the stock setting of 210 degrees. 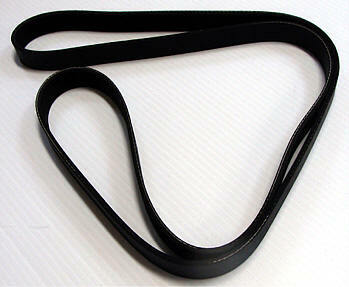 This versatile tool also allows the user to diagnose check engine lights and clear trouble codes. Your factory tune will never be lost either as the XCalibrator 2 has the ability to store it if you ever choose to go back to the factory settings. All these features make this device a "must have" for all GEN 2 Viper owners. Example: The following performance gains were recorded on our in-house dyno using 93 octane fuel : Rear Wheel HP / Rear Wheel Torque gains @ RPM are; 5 HP / 13 TQ @ 2,000 RPM, 6 HP / 13 TQ @ 2,500 RPM, 7 HP / 14 TQ @ 3,000 RPM, 20 HP / 30 TQ @ 3,500 RPM, 25 HP / 31 TQ @ 4,000 RPM, These tunes were carefully created and tested to allow maximum performance without engine pinging. The PCM's of 1996-2002 cars are located under a cover on the Driver side in front of the door hinge secured to the toe box. The aluminum bung screws into the stock oil fill cap location. The chrome breather with filter then pushes into the bung and is very secure. To add oil to your engine, simply remove the breather, leaving the bung in place. This breather system features a 5/8" tube fitting with filter installed onto it. You may remove the filter and use a hose run to a remote catch can if desired. Tested and proven to be victorious on the 24 Hours of Le Mans GTS-R. Features individual shaft-mounted rockers with needle bearings on shafts and rocker tips, forged aluminum 1.7:1 ratio rockers, 12-point quality mounting hardware, and rocker arm adjusters. Rockers mount to the one-piece CNC steel billet bar for positive alignment. 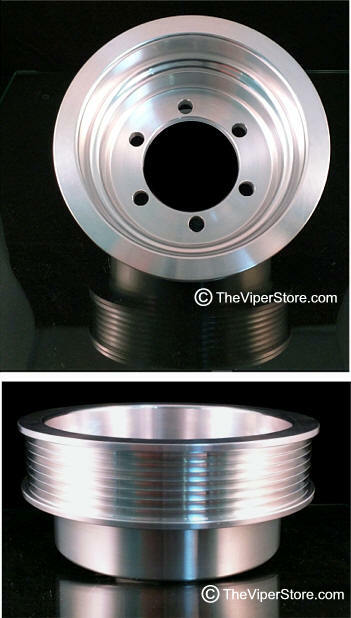 This high quality metal Power Steering Pump pulley is CNC machined out of billet 6061-T6 (Heat Treated) aluminum. 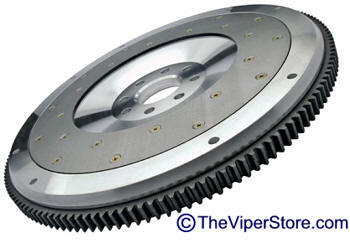 It is designed to replace the poorly designed factory plastic pulley that frequently fails. 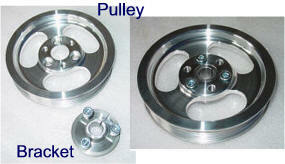 This Pulley utilizes a self locking hub design so no Pullers are needed to install or remove hub on pump shaft.